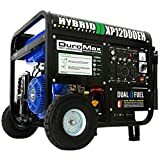 Are you looking into the advantages of a portable natural gas generator? 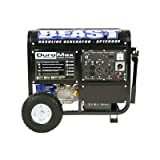 Being a homeowner or business owner, it’s good to know the importance of a portable backup generator. The reasons include that your area might experience blackouts as a result of old power grids or the weather. You might think that you’re safe because you haven’t experienced any power outages in years, but that doesn’t mean it can’t happen to you. Aging power grids or bad weather can strike when you don’t expect it to. Therefore, you need to be prepared for any such scenarios. This is because you might want to keep your refrigerator working to keep your home’s food supplies cold, so they don’t go to waste because of a few hours of power loss. If you’re running a hospital, it’s important to keep the power going for those who are dependent upon any medical devices that are electronically powered. 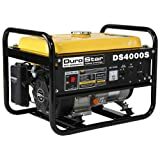 All of this means that you should consider purchasing a portable natural gas generator that’s easy to carry from one place to another in the case of emergencies. This post is going to take a look at what natural gas generators are and teach you all that you need to know about them. A natural gas generator is easy to use whether you’re using it for home or business purposes. This is because it uses propane, which you can store easily – unlike gasoline. You might even already have a grill that uses propane with a few extra tanks of propane in your shed or garage. Gasoline, however, can’t be stored where your family or pets frequent. Why? Because gasoline is stored in plastic containers that are dangerously flammable if they are kept in high traffic areas. Propane tanks can be used for multiple things, including grills and generators. 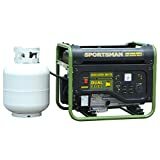 If you have a portable natural gas generator, you’ll be using propane tanks to operate the generator. This often means that you’ll be carrying them by hand or on wheels to get to where you need them. Plus, natural gas has a longer shelf life than gasoline does. Natural gas generators are easy to start and can run for long periods, for instance, from 4 hours to 11 hours depending on the number of circuits that it’s running. Most natural gas generators run on around 10 to 12 circuits, which helps ensure that you get the power that you need. You get to choose which systems and appliances are operated using your generator. When you go to install a portable natural gas generator, your technician will help you find the best model to fit your needs. Natural gas generators are incredibly practical and versatile to use – all you need is to have propane around. This will ensure that the circuits you choose to run will be able to go for as long as the power outage takes place since all you need to do is change the propane tank. There is also a simple way to change your portable generator into a home one just by using a transfer switch. Another benefit to using a natural gas generator is the security that it gives you during a power outage – this being because these are the times when vandals and burglars strike and damage and steal property. As we’ve mentioned above, it’s easy to transform a portable natural gas generator into a home one using a transfer switch. This gives you the comfort of knowing that it will turn on automatically starts to support all the electrical systems that you run in your home. 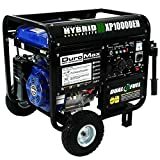 If you aren’t ready to commit to a house generator, you should consider using a portable natural gas generator because it’s a good backup option. They are cheaper to purchase and are simple to use while still giving you the power that you need during a power outage. These power outages might even be prolonged. This applies to areas that are prone to severe weather such as blizzards, hurricanes, and ice storms. If this applies to you, then you should consider a home standby generator, a large inverter generator, or a portable generator. You don’t have enough power outages to warrant spending money on an expensive standby generator, but you experience enough outages to make you want a generator. If this applies to you, then you should consider a large inverter generator or a portable generator. This being said, you might still want a generator on hand just in case one does happen. If this applies to you, then you should consider a midsized inverter or a recreational inverter. 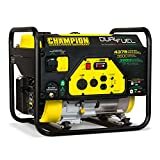 Another way to answer the question of how big of a generator do I need, you can simply add up the wattage of everything you want to power during an outage. Before you start working out the calculations, you need to remember to include surge wattage because some appliances, such as refrigerators, use more energy when they’re cycling. Once you’ve figured out the normal wattage and the surge wattage, you’ll have a set of two numbers that you can use to find the right generator for you. These two numbers will represent a minimum and a maximum wattage you’ll need. If you need help figuring out the wattage your power needs require, there are plenty of calculators online that you can use.